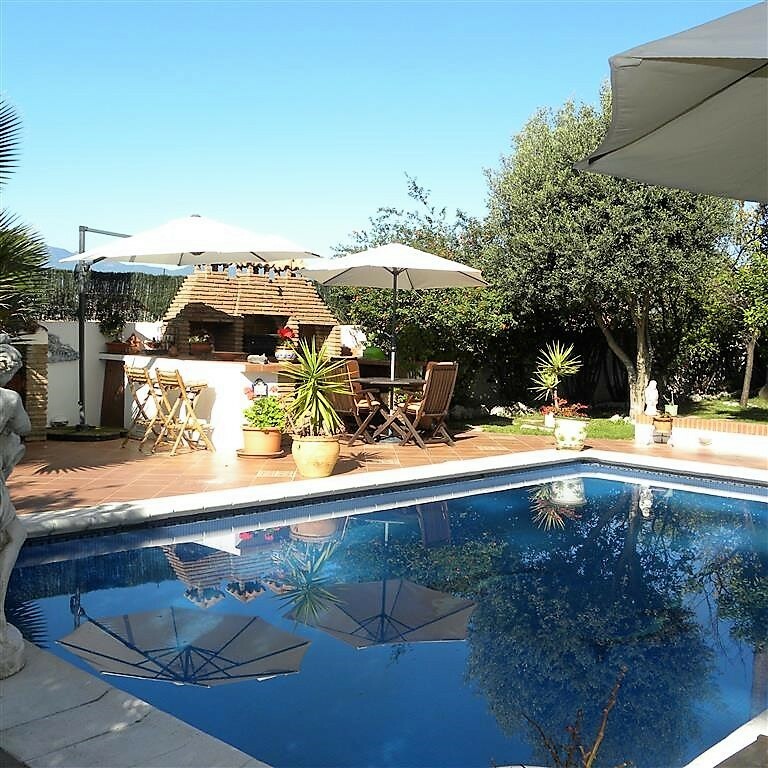 A stunning villa tucked away in a quiet residential area to the upmarket West side of San Pedro Alcantara just a few minutes walk from the town, beach and local shopping center. 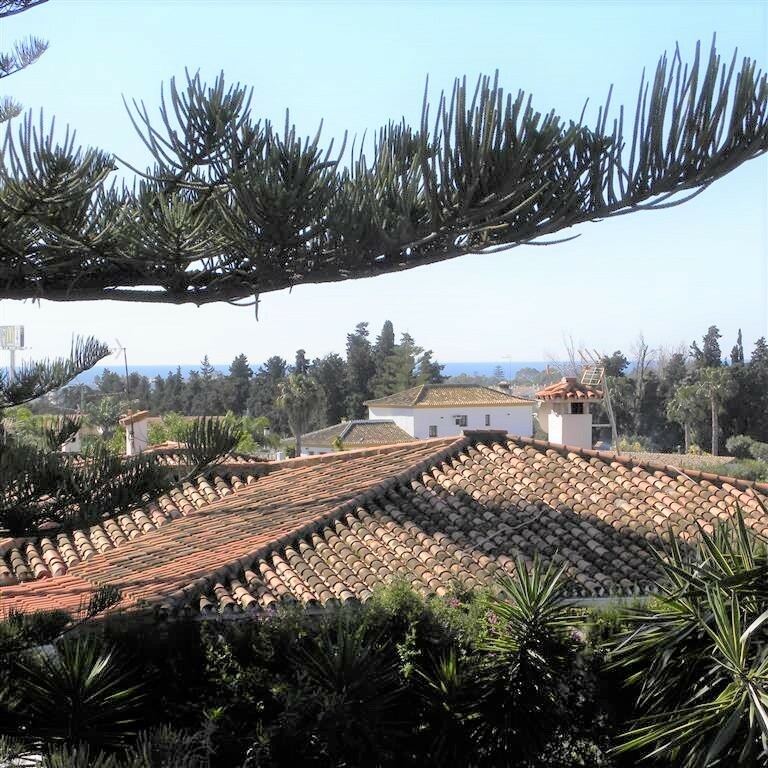 There is golf found in neighbouring Guadalmina which is reached in a mere couple of minutes in the car. 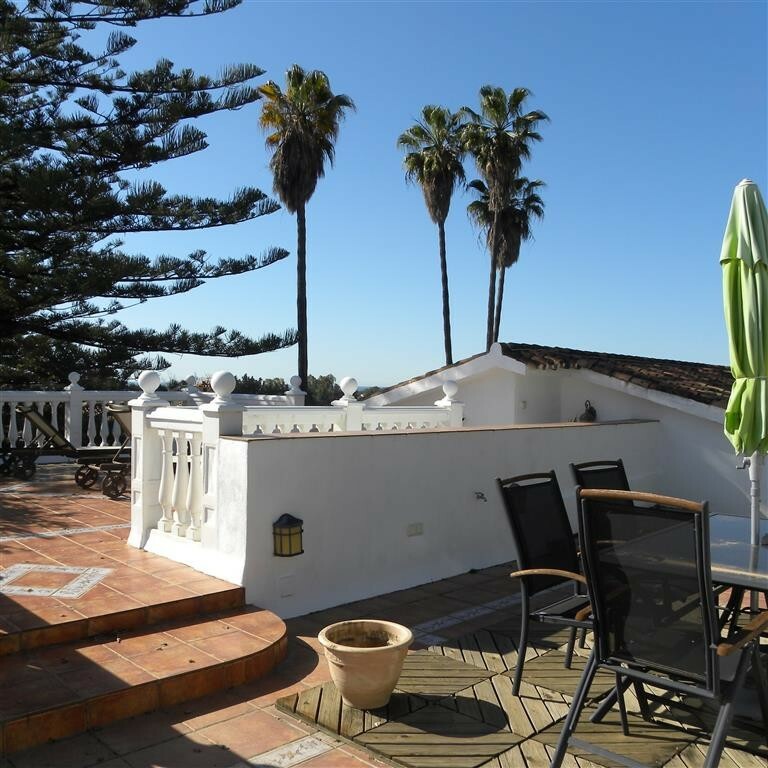 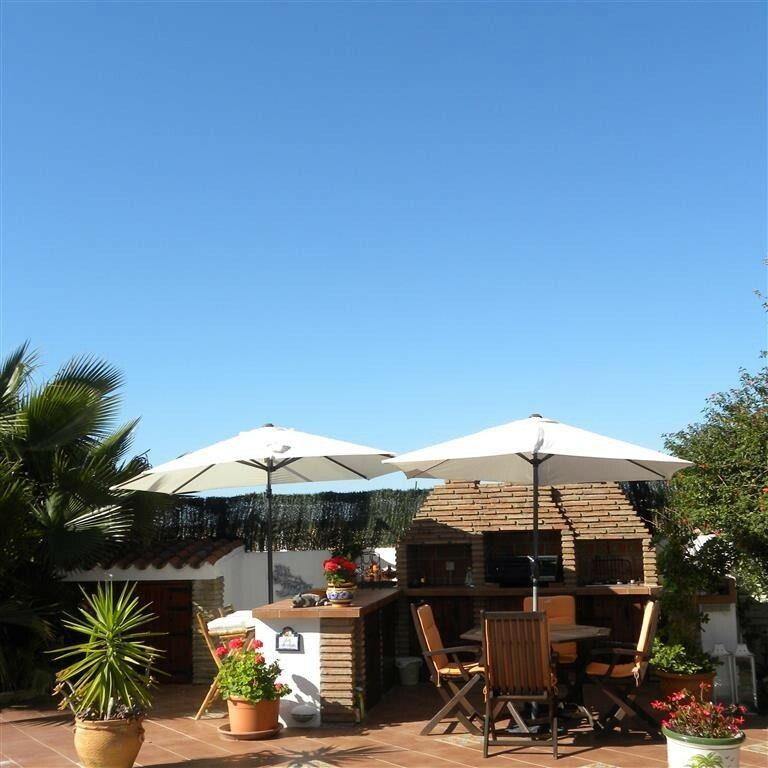 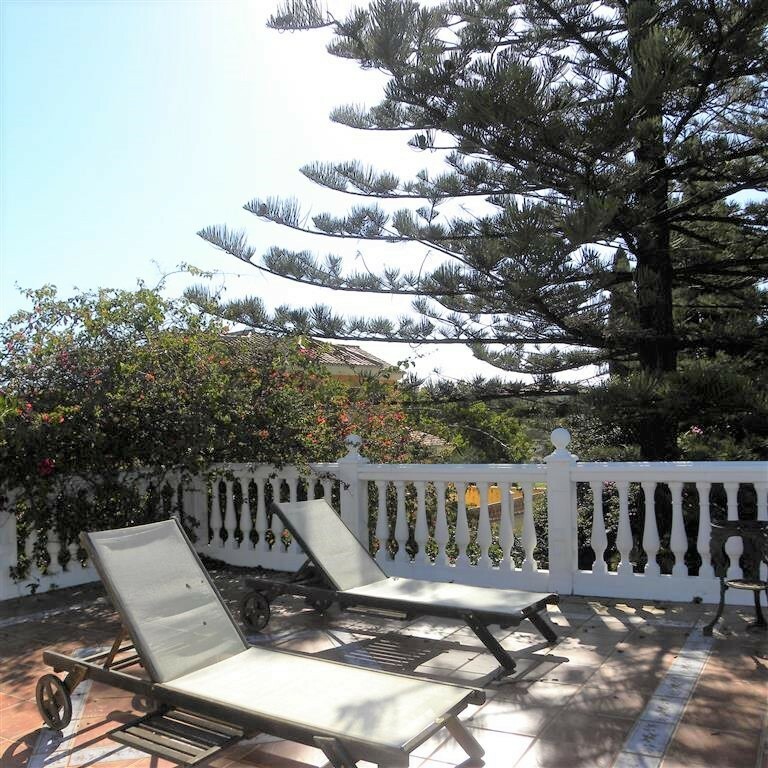 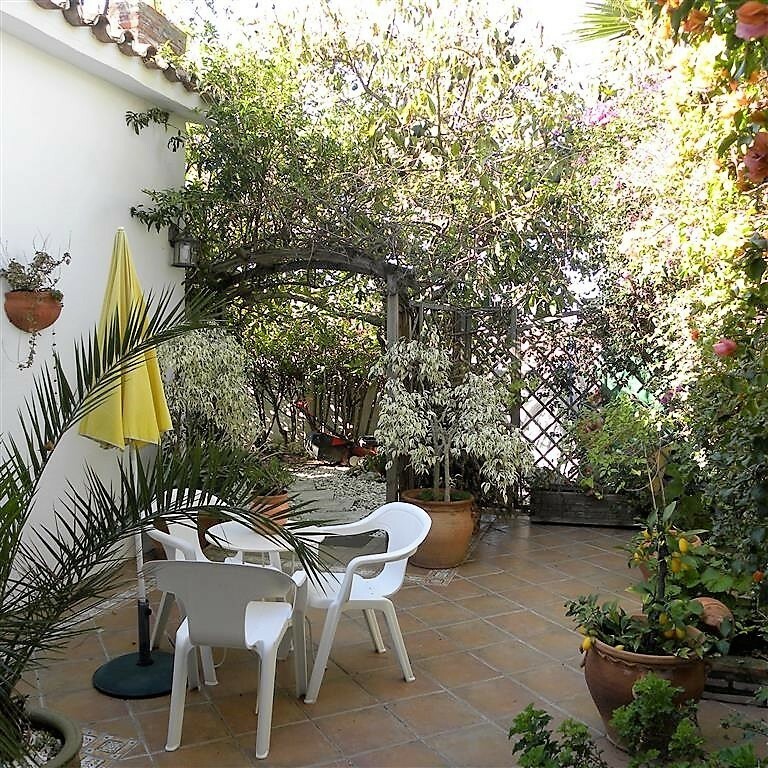 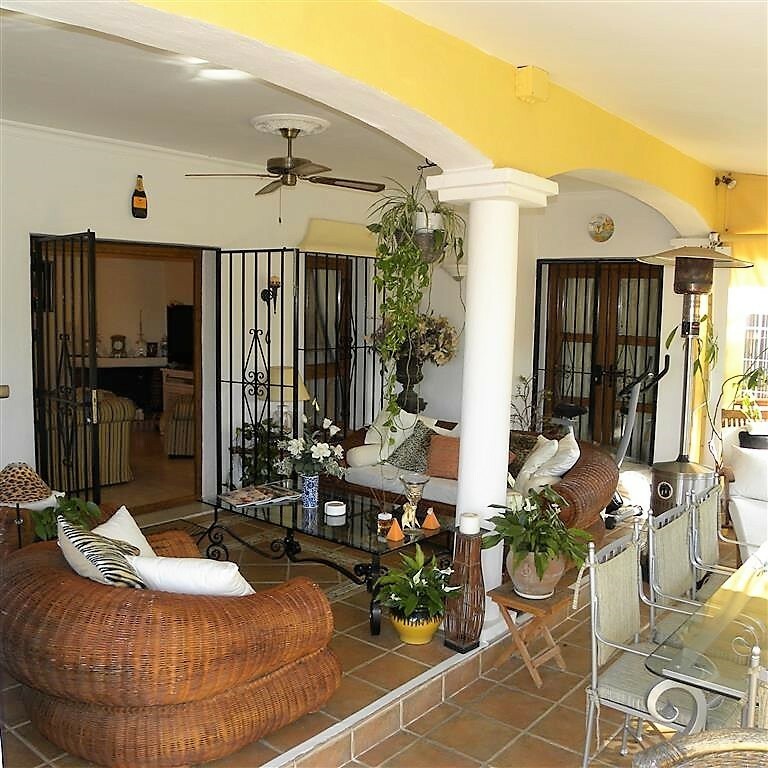 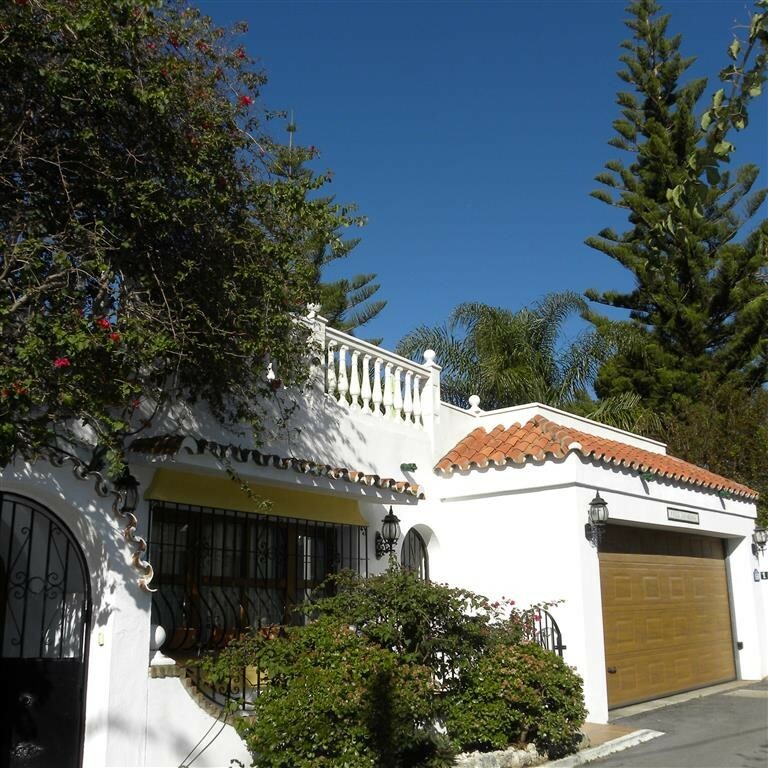 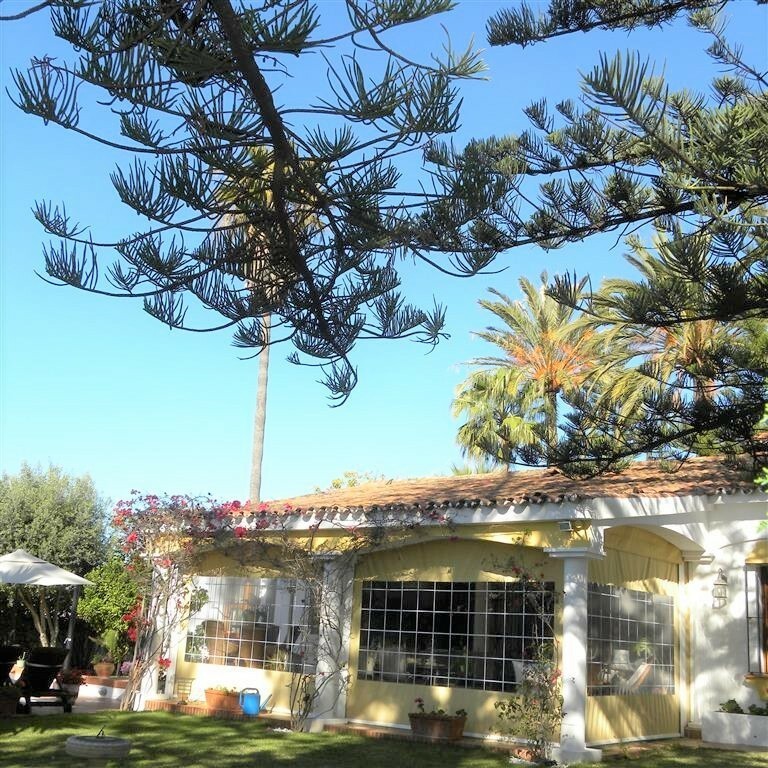 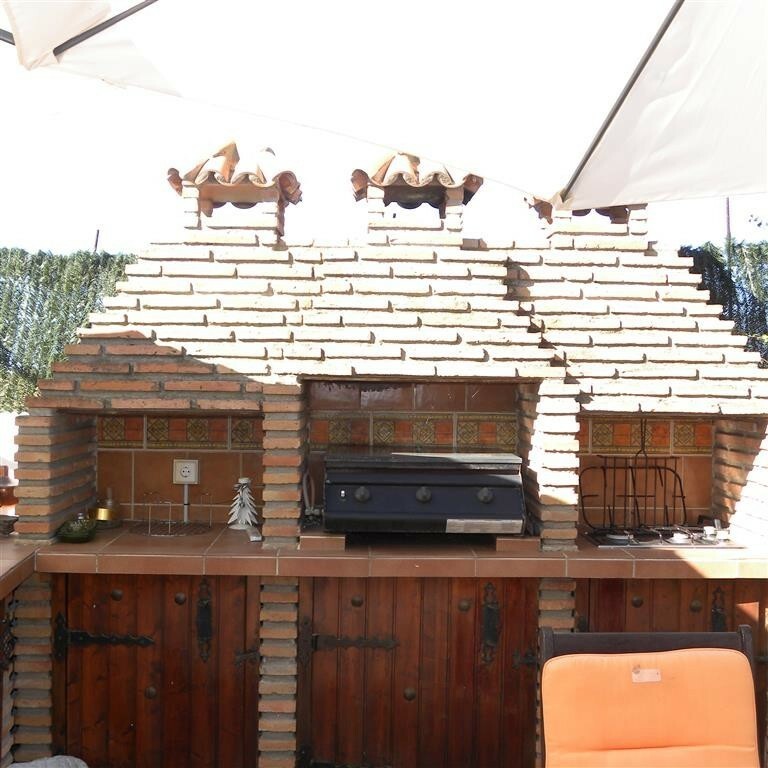 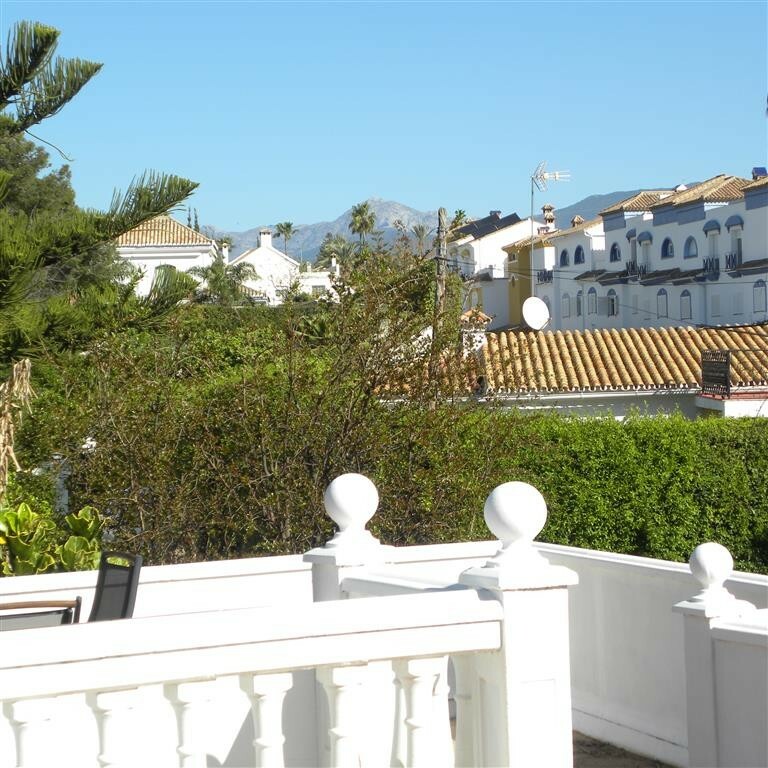 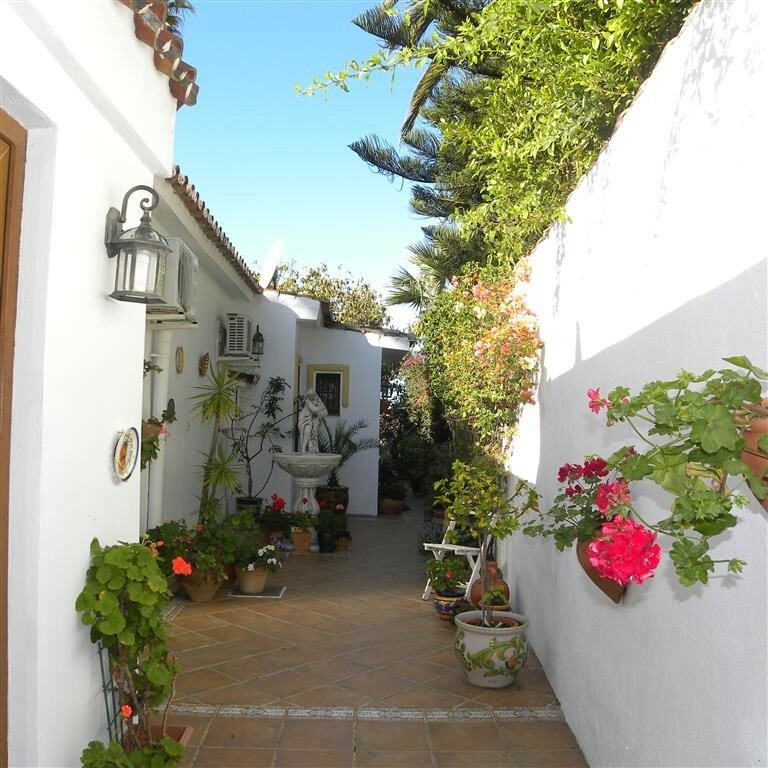 The town of San Pedro Alcantara has an abundance of local shops, cafes, restaurants and bars and the paseo is a flat easy walk away from this villa. 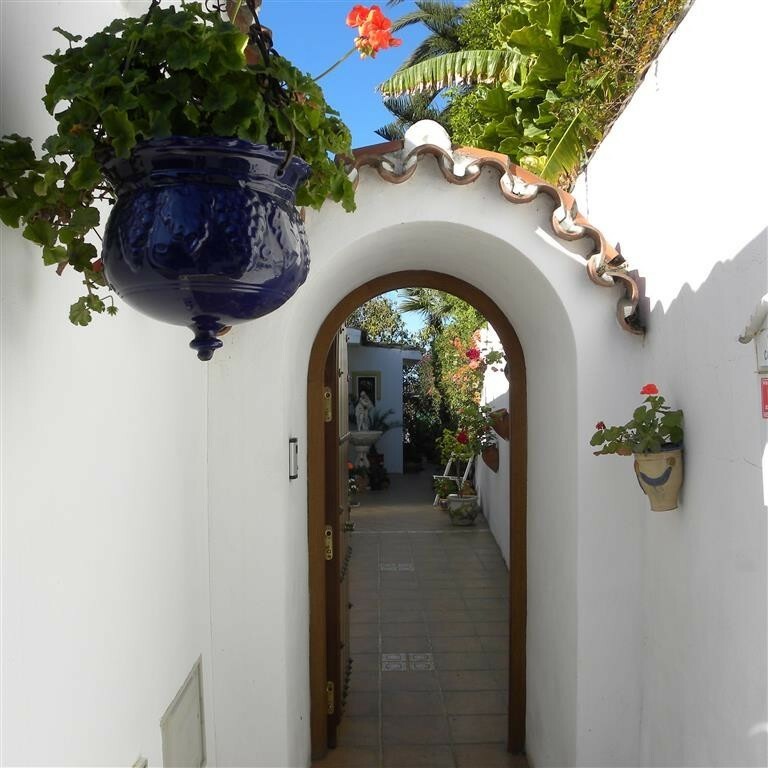 Puerto Banus is a 5 minute drive away and the airport can be reached in just 40 minutes. 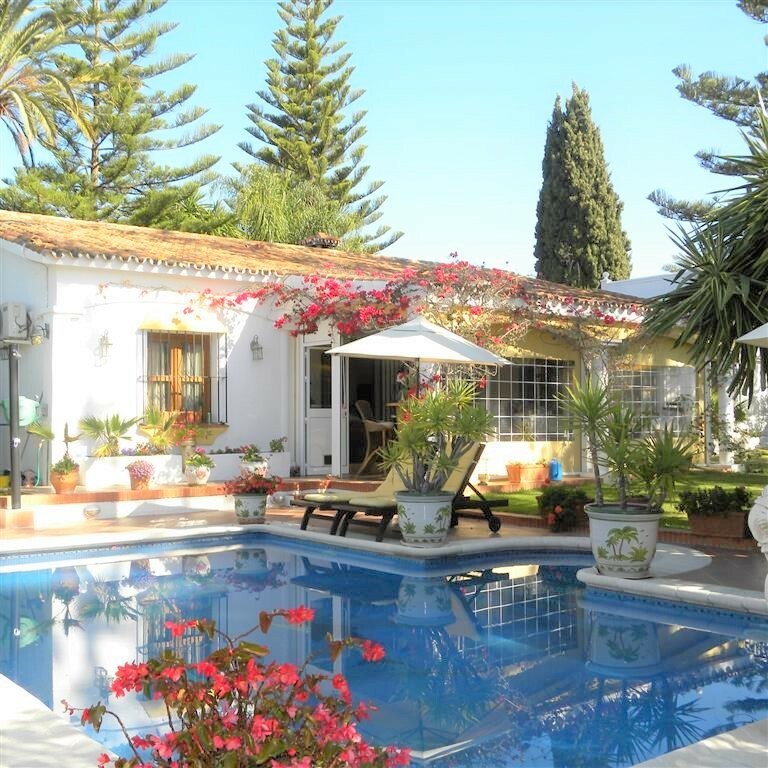 There are many local and international schools close by walking distance from the villa making this a perfect location for a family home. 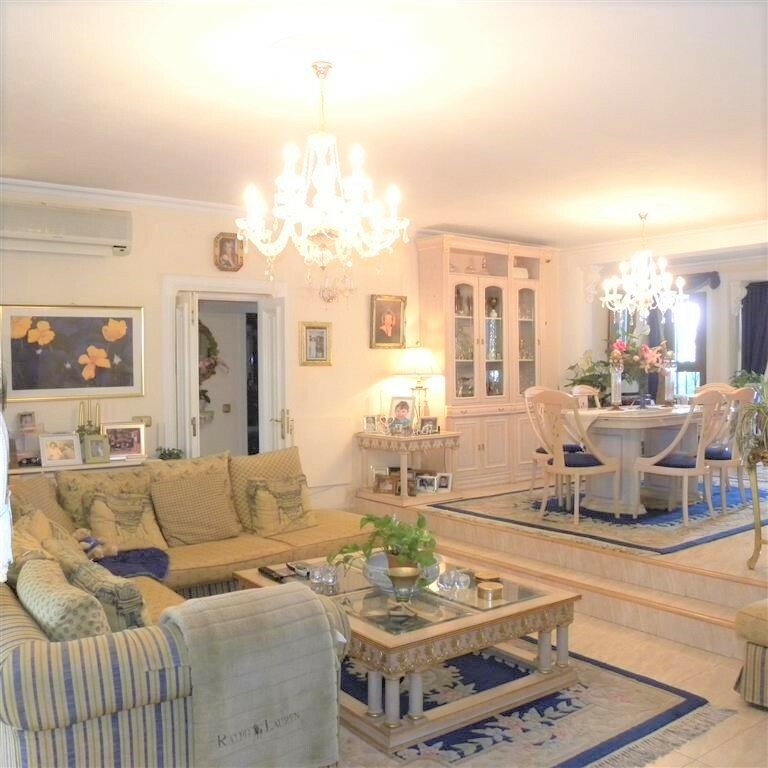 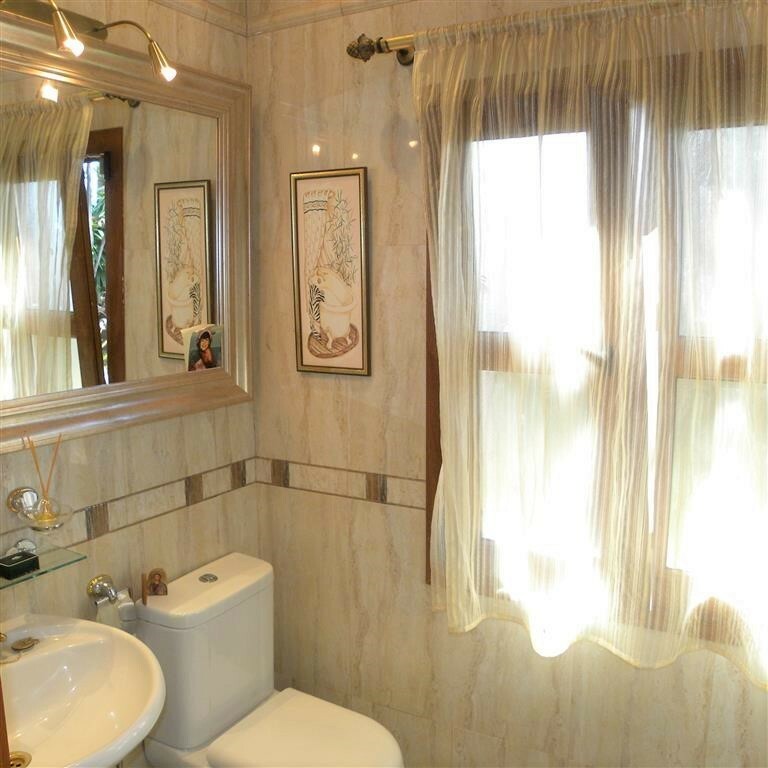 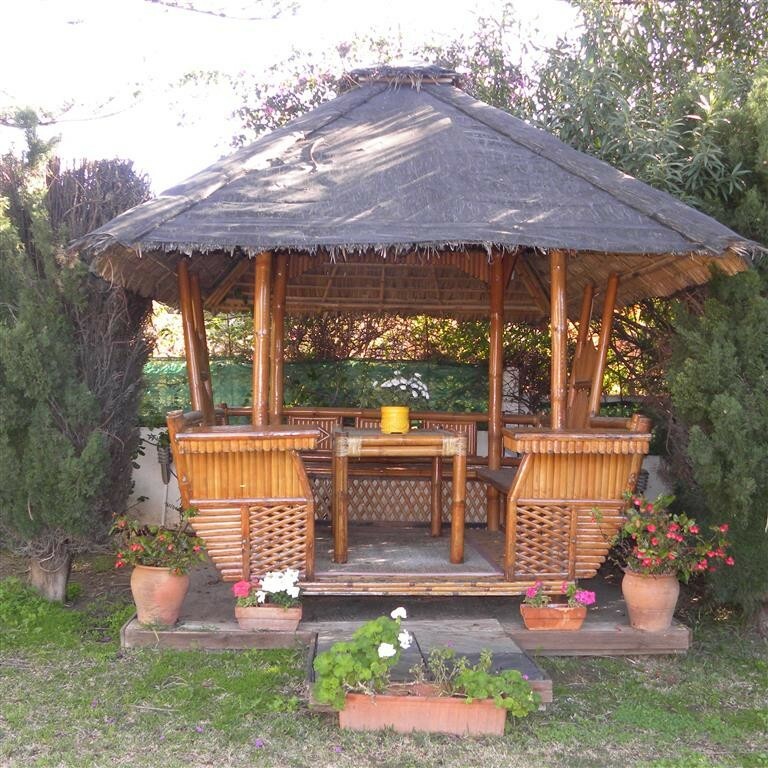 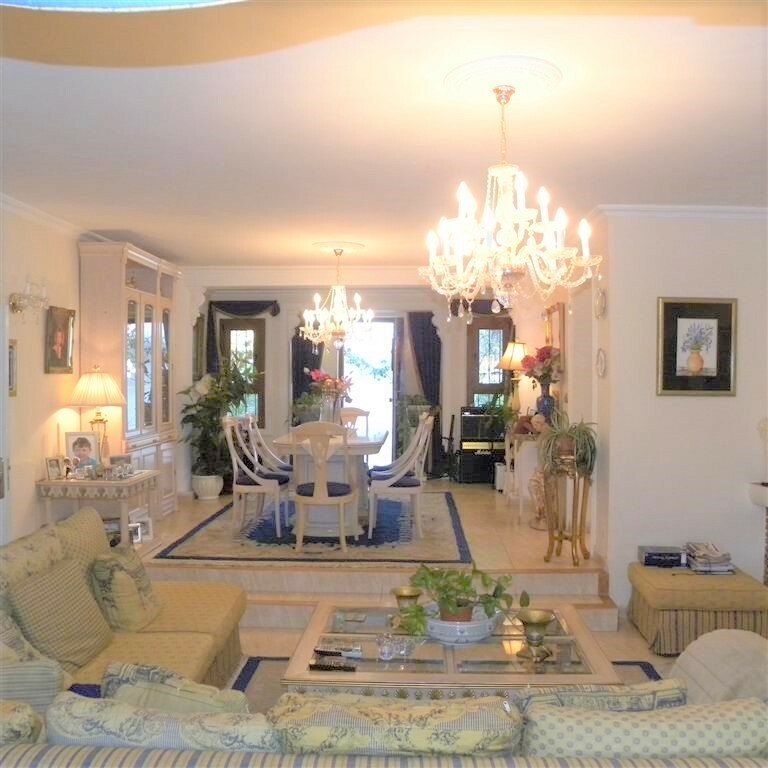 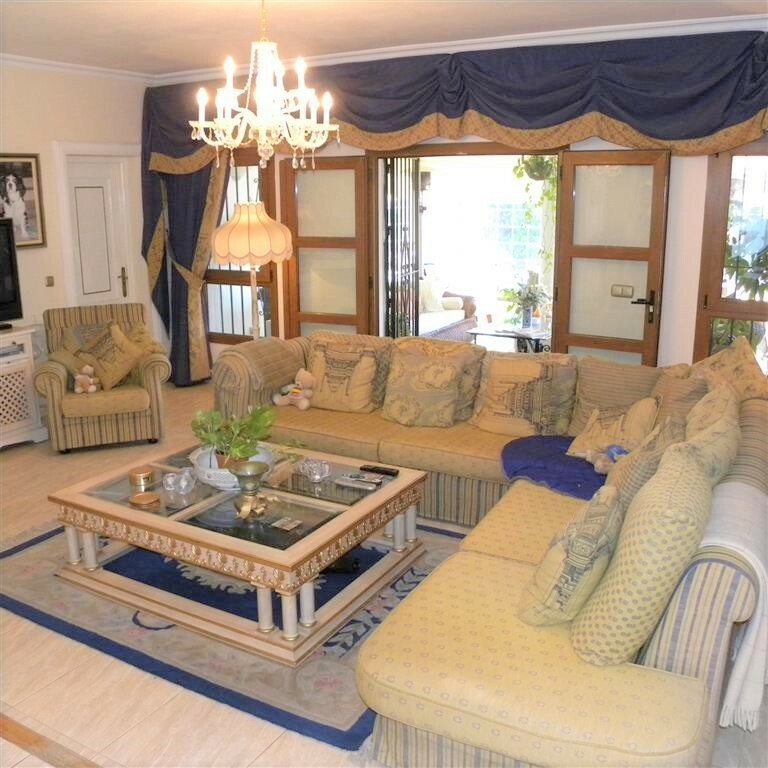 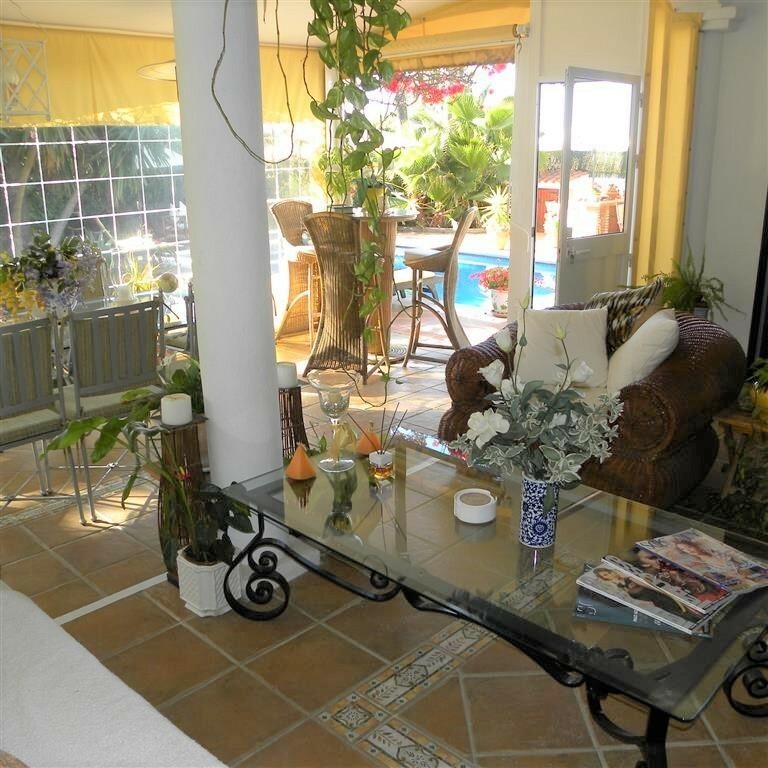 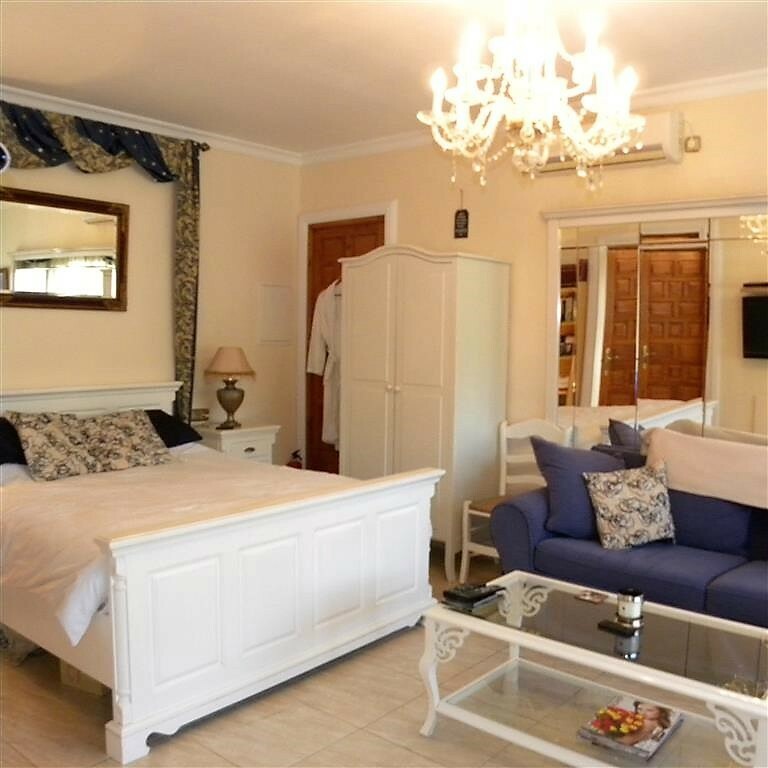 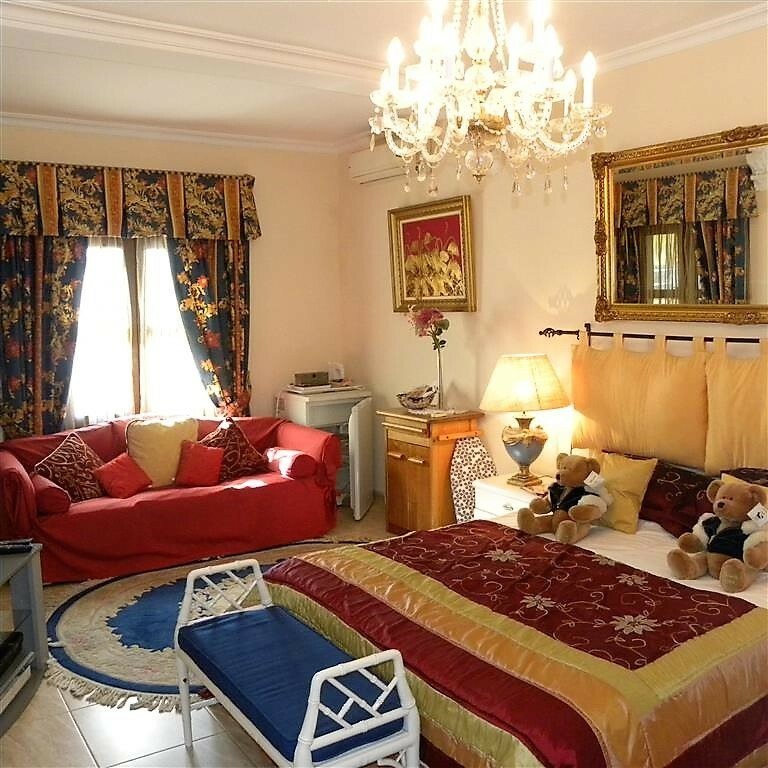 The villa is very easy to maintain and has accommodation on 1 level. 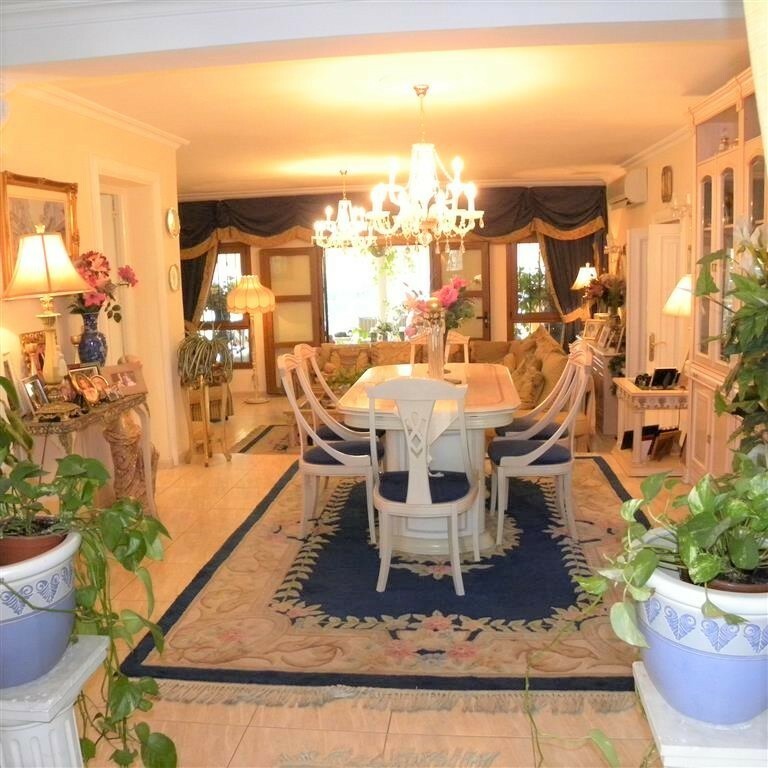 You enter the property into a hall with formal dining area which has a couple of steps leading down to a sunken lounge area with feature fireplace to one wall. 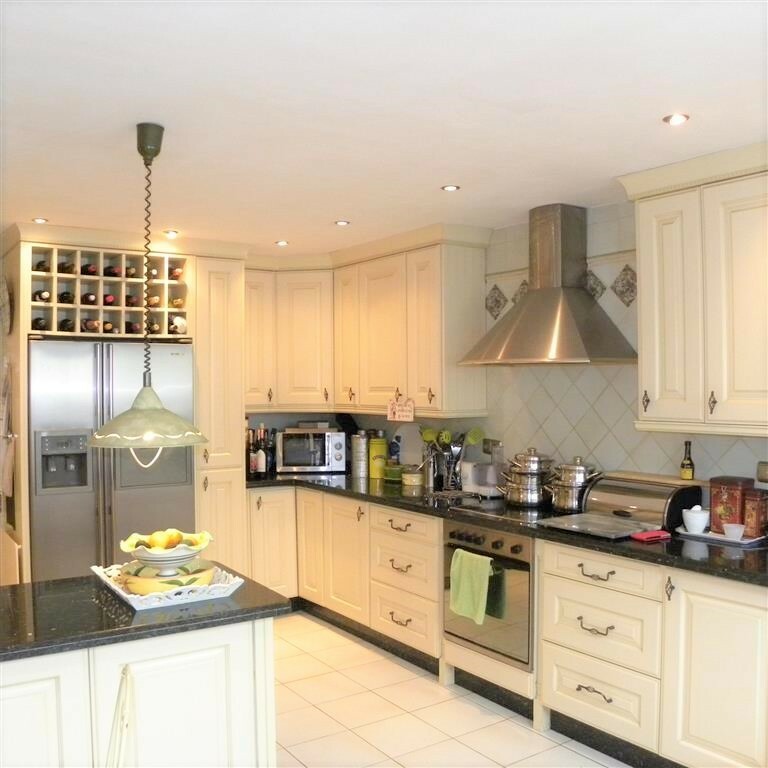 This room is open plan, very sociable and perfect for winter entertaining. 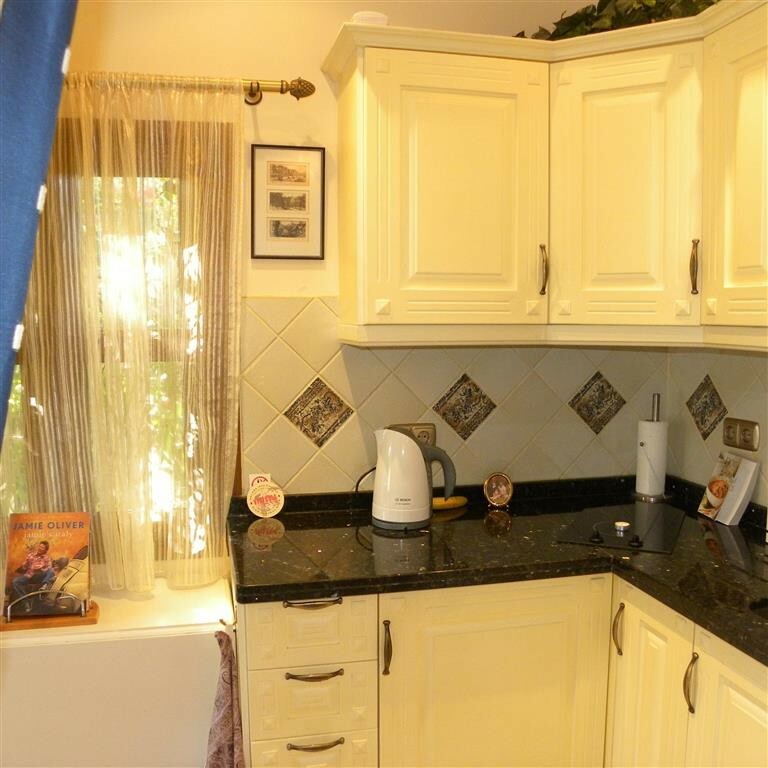 The kitchen is very well equipped and has stainless steel appliances fitted with cream painted units with granite work surfaces. 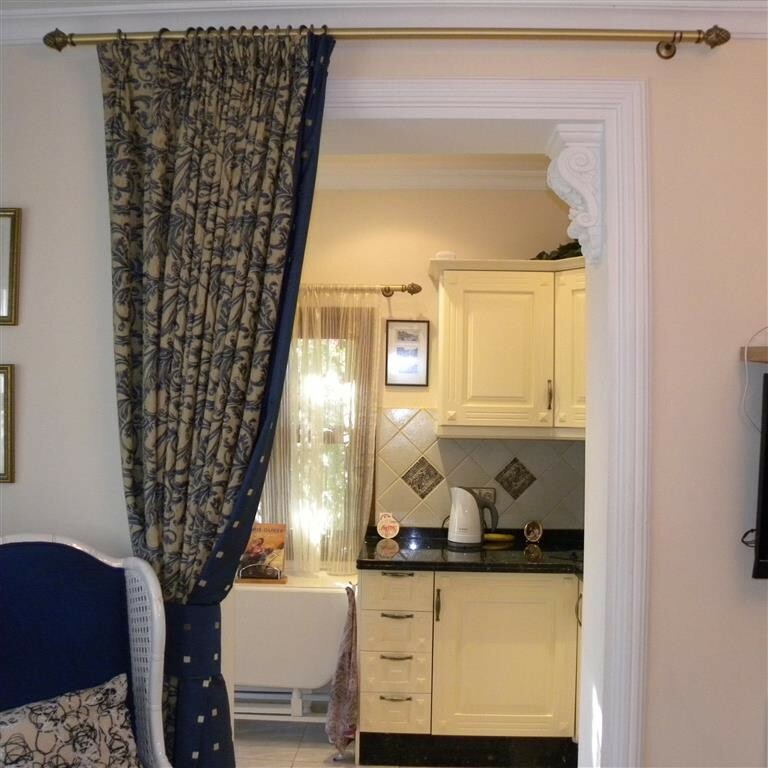 A door leads from the kitchen to a handy utility area where you will find the laundry area. 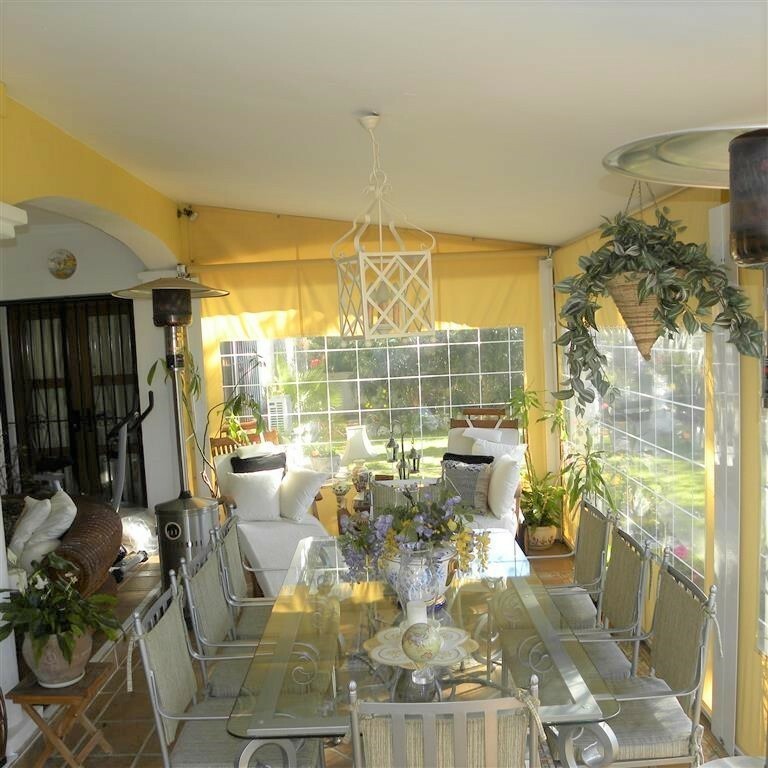 Off of the living area you will find a conservatory area which is perfect for summer dining, this house really is all about entertaining family and friends. 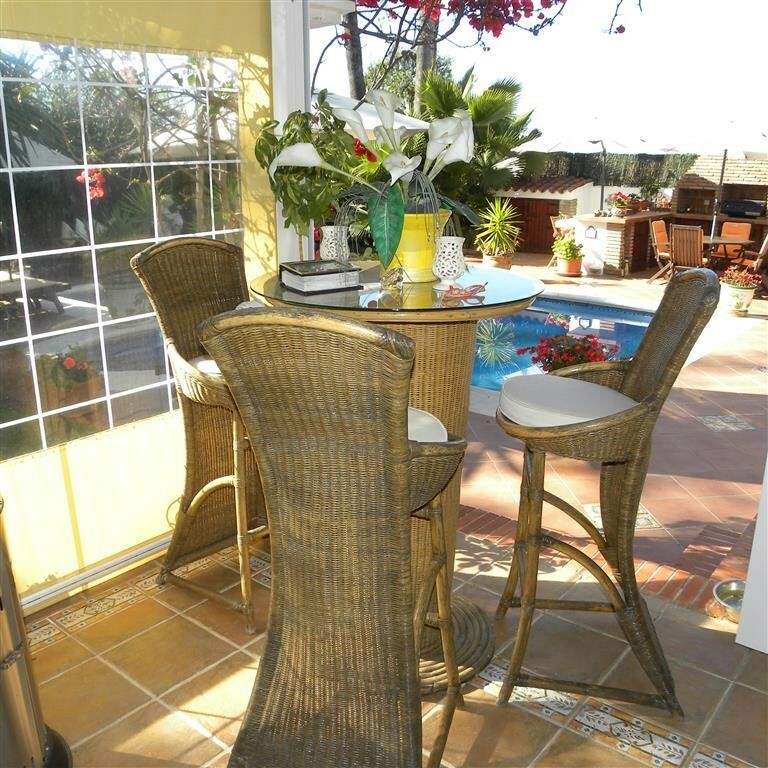 This area is equipped for lounging, more informal dining with views over the beautiful established gardens and pool area. 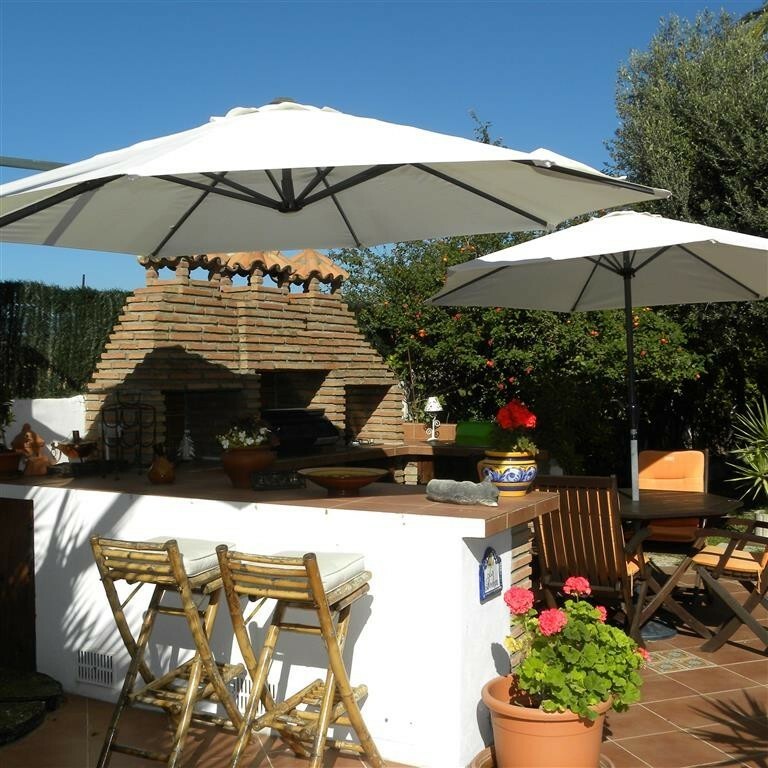 Outside you will find a beautiful pool area which would give most boutique hotels a run for its money along with an outside kitchen with fully fitted barbecue area and various dining and lounging spots dotted around. 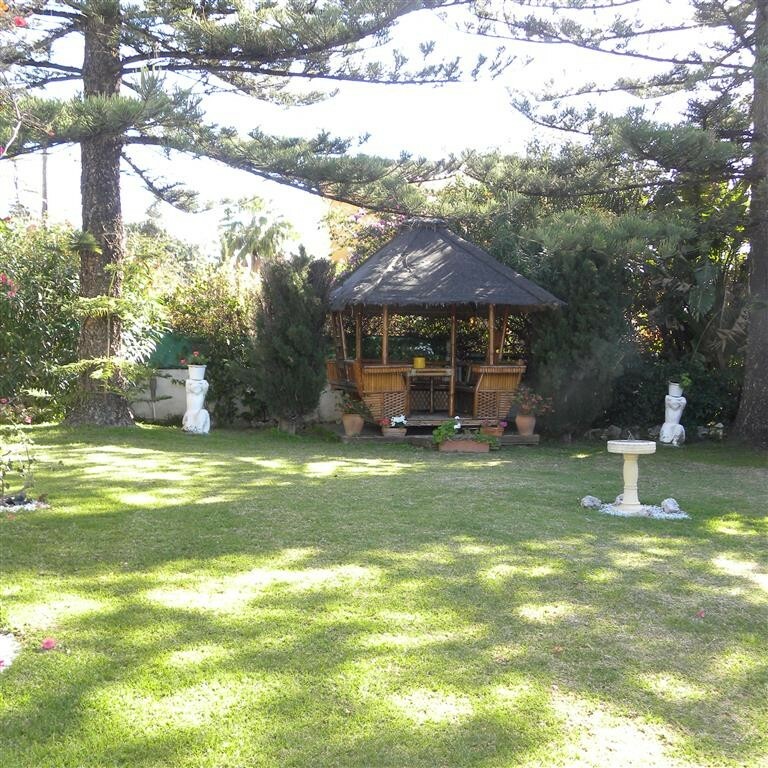 There is a cute Balinese thatched house to one end of the garden which is a real feature. 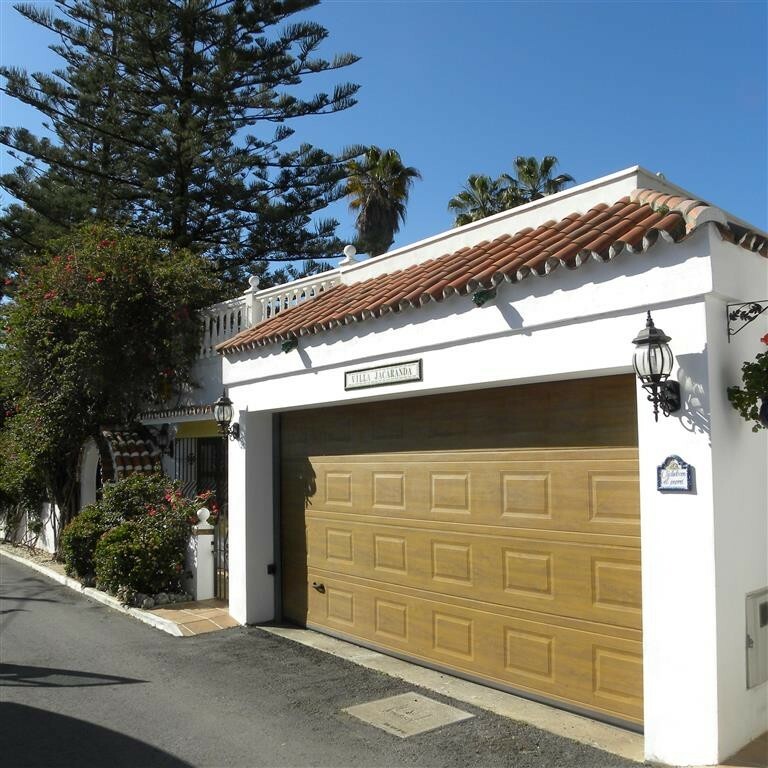 The villa also has a double garage with lots of storage space although in addition there is ample parking outside on the street. 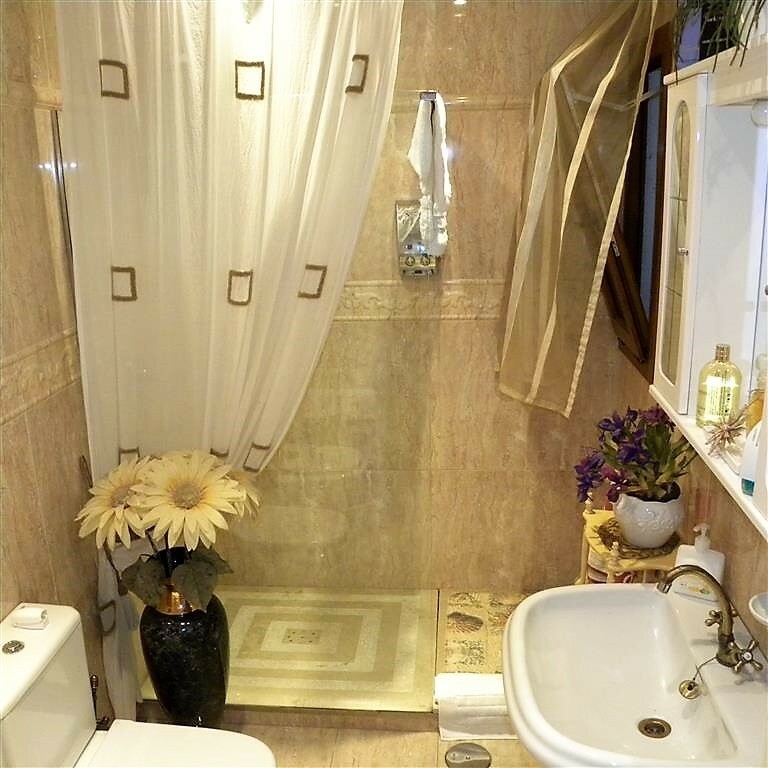 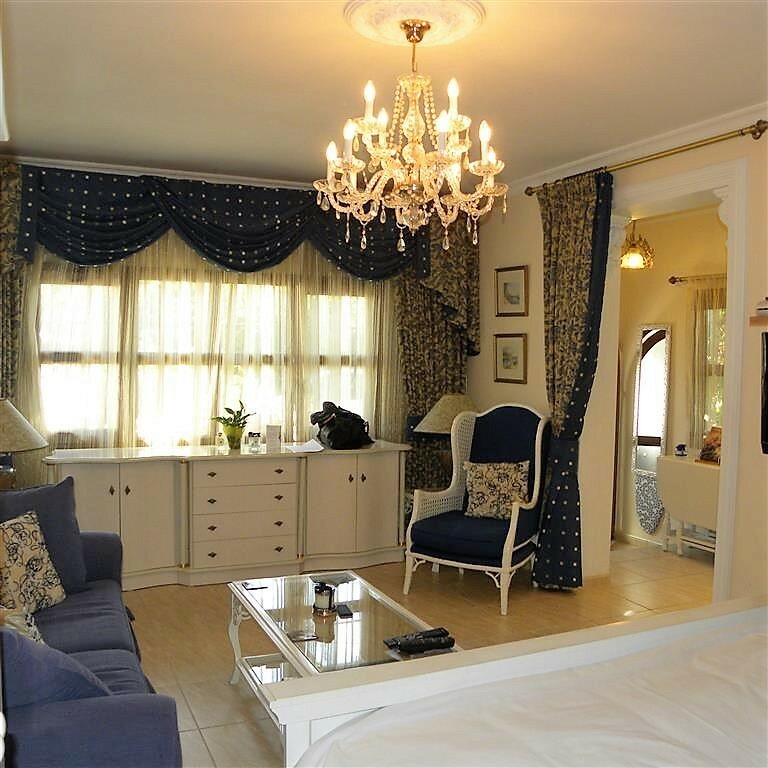 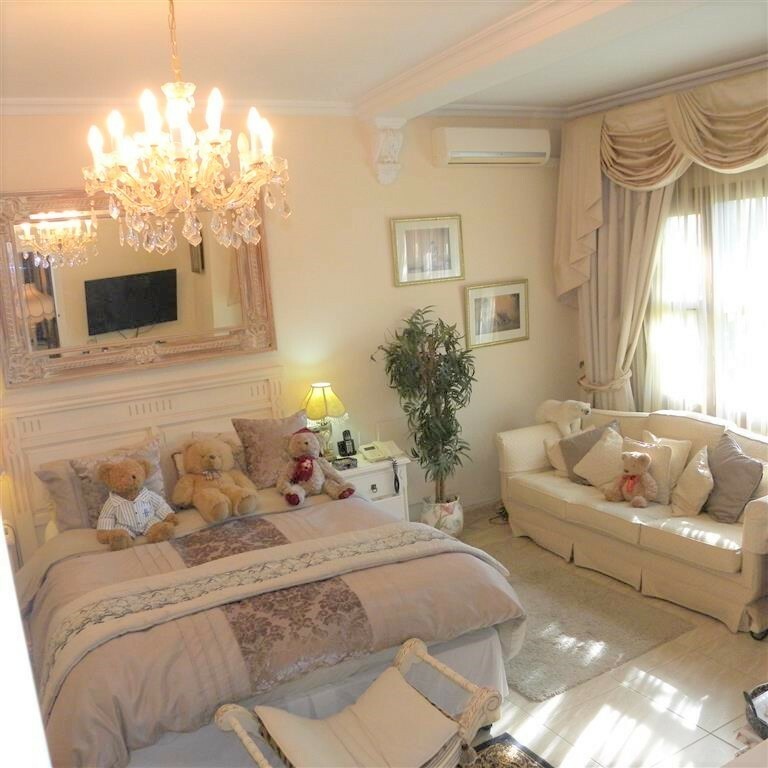 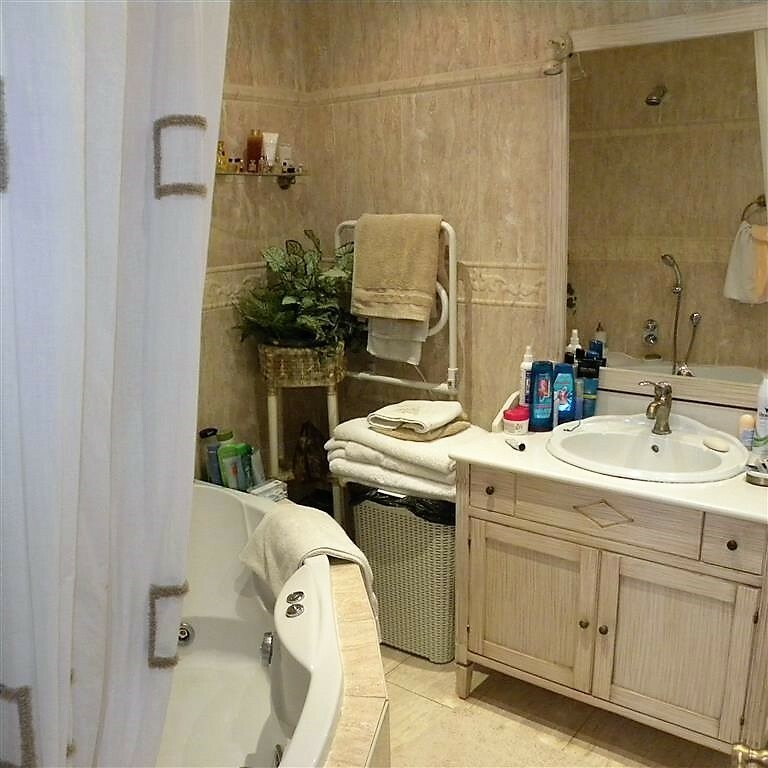 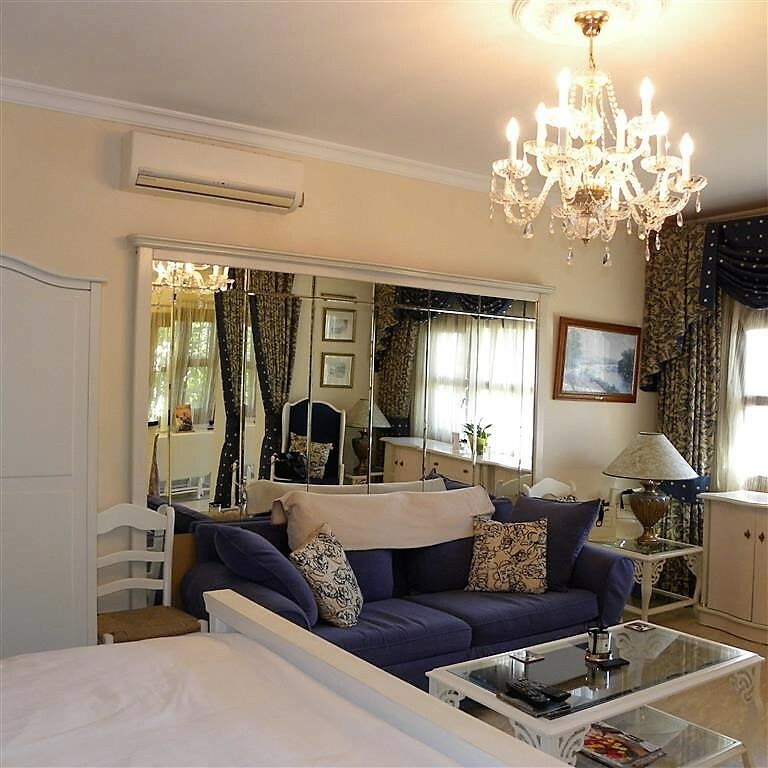 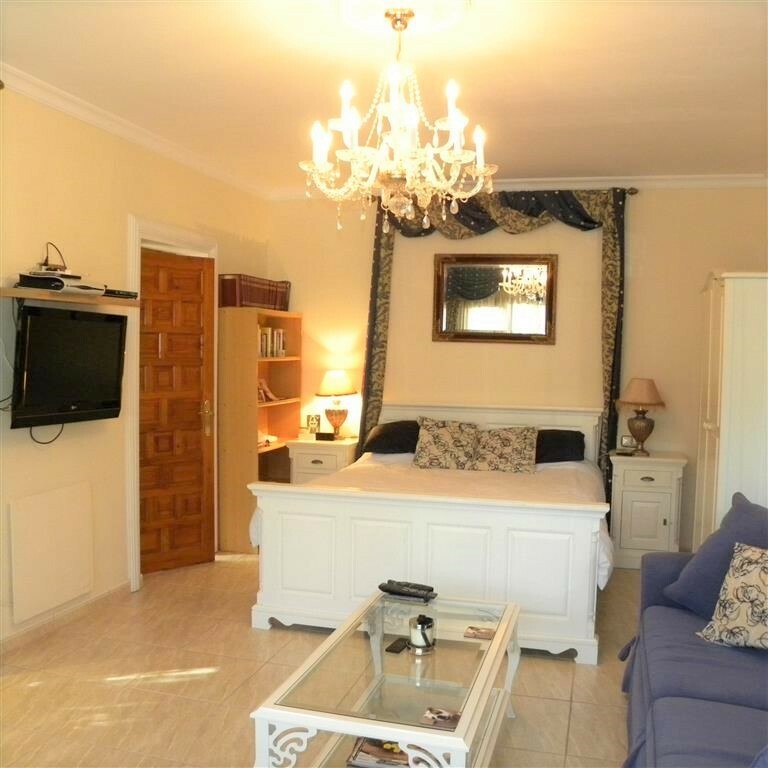 In addition, there is a self-contained studio apartment with its own entrance, kitchen and shower room. 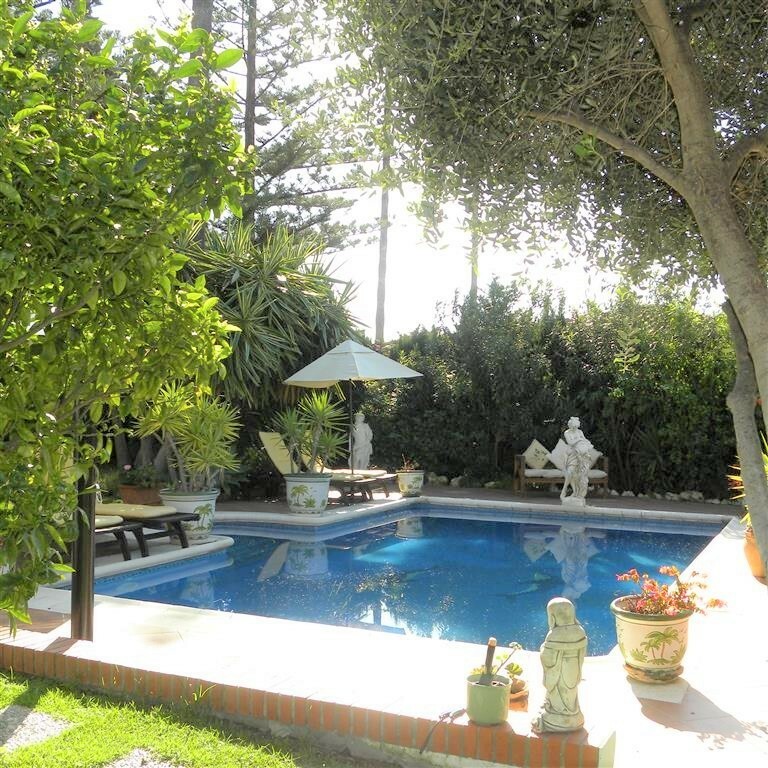 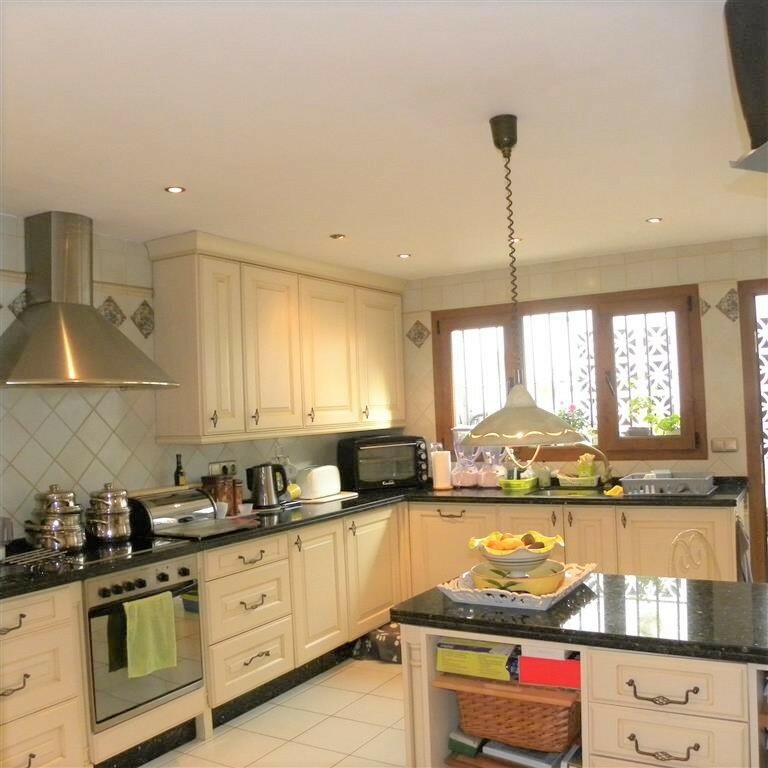 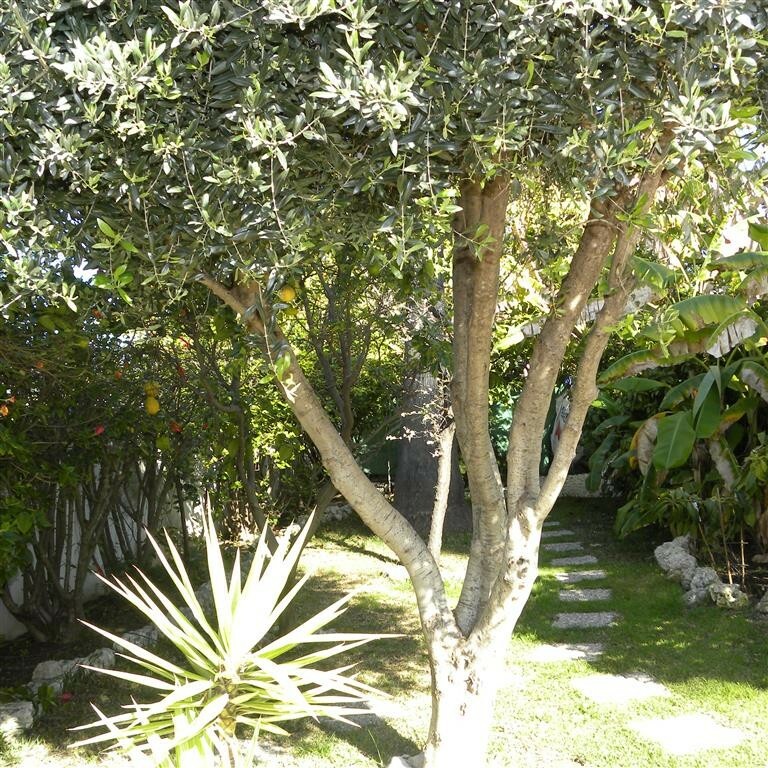 This is currently rented at a rate of €550 per month so great for additional income. 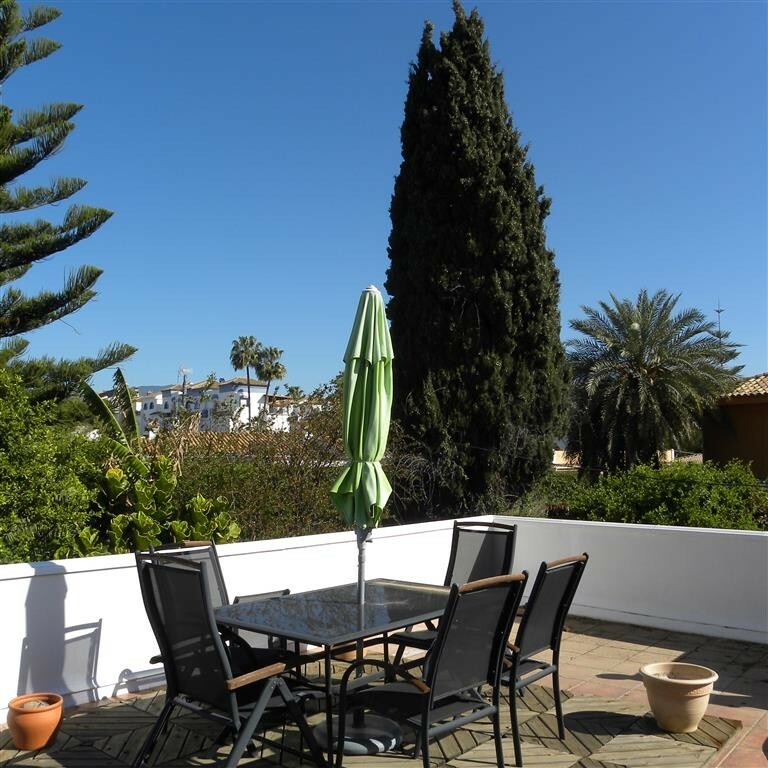 The studio has the benefit of its own roof terrace which has sea and mountain views and has ample space for sunbathing and dining. 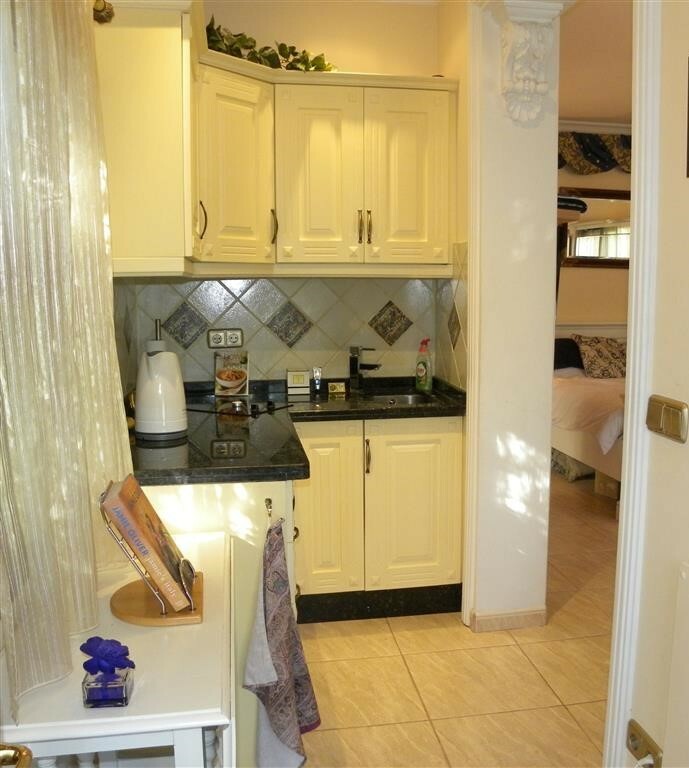 This is connected to the main villa via a door in the main utility area so could also be used as staff quarters or a teenagers den or guest apartment.